ATLANTA, June 2 /PRNewswire/ — Top automotive industry trainer Jim Ziegler and automotive digital marketing expert Ralph Paglia present a dynamic workshop to help auto retailers meet online marketing challenges. Automobile retail sales are a fiercely competitive and erratic market. Ziegler and Paglia’s plan is to give dealers an Internet Sales and Marketing Strategy to outperform the competition by gaining unfair competitive advantage on the web. This powerful event will be held at Bally’s Atlantic City, just minutes from the Philadelphia and New York City areas. Change is constant. Nothing is the way it was, and will never be that way again. After working with thousands of automobile dealers over the years, Jim Ziegler needed to be sure his clients kept up with the new realities of changing technologies and the emerging influence of social media. So he assembled an all-star faculty for this dynamic event. All four presenters are world-class online retail practitioners. Their expertise and hands-on experience has shown they know what works and what doesn’t work in the online sales arena. Workshop Instructors Ralph Paglia, Joe Webb and Tim Jennings have all been top-rated speakers at premier industry events such as Digital Dealer Conference and Exposition, J. D. Power and Associates Automotive Internet Roundtable, Dealer Synergy Sessions, ENG Automotive CRM Summits, Kelley Blue Book eNetworking Conferences, Driving Sales Executive Summit, Ford Lincoln Mercury Digital Advertising Summit, Toyota eCertified Dealer Workshops, NADA Workshops, General Motors Standards For Excellence (SFE) Conference, American Honda Motor Company Institute, Honda iN, Ford DealerConnection Workshop, Mercedes-Benz StarLeads and Content Management System Dealer Workshops, Reynolds Contact Management CRM Seminars, Honda iN Lead Management Workshop, Hyundai Dealer Lead Management Dealer Training, Ford Internet Lead Management (FILM) Dealer Seminars, Ford Business Development Center (BDC) Dealer Summits, Toyota University Signature Program, Honda EXCEL, Ford eTools Dealer Workshops, NCM 20 Group Automotive Digital Advertising for Dealers, ADP Dealer Services Internet Sales Dealer Summits, Automotive Success Magazine Best Practice Summits, and many more too numerous to list them all… Each of these car guys have managed both large and small dealership Internet Sales Departments. At Bally’s Resort in Atlantic City, NJ on July 6 through July 8, Jim Ziegler and Ralph Paglia will deliver the real deal, content-rich sessions, hands-on “real-world stuff”, not theory. Attendees will leave this 3 day workshop with the know-how to deploy the tactics and processes that are battle-tested and proven effective on the front lines in the most successful dealerships throughout North America. Having a dominant and effective presence on Facebook, Twitter, and other portals is critical to dealership marketing strategy. Ziegler and Paglia are masters of the Social Web and using this incredibly popular medium to generate relationship based sales and to achieve dealer marketing objectives. Dealer Internet Battle Plan Workshop participants will take back materials, hand-outs, CD’s, top secret user names and passwords along with an in-depth understanding of how to leverage online relationships for sales and profits. Customer Relationship Management and CSI Engineering Projects for High Average Profitability, Top-Rated CSI Scores, Customer Retention and Referrals! 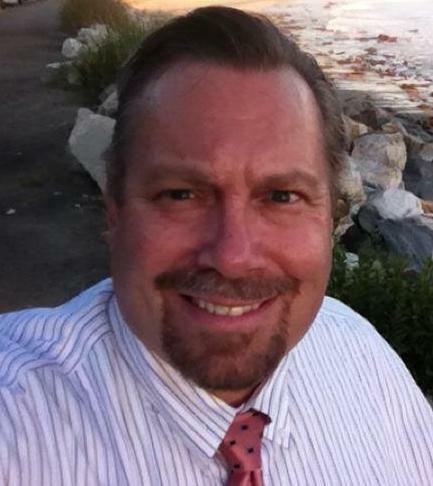 Ralph Paglia has served ADP Dealer Services as Director of Digital Marketing Solutions since April 2007. He established the partnership between Ford Motor Company and ADP Digital Marketing which features joint ventures such as the Ford Lincoln Mercury Digital Advertising Program for Dealers and the Ford Regional Digital Marketing Consultants (DMC) supplied by ADP Digital Marketing. Ralph is also the founder and editor in chief of the Automotive Digital Marketing Professional Community located at www.AutomotiveDigitalMarketing.com which is the industry’s leading independent online resource for digital marketing and Internet Sales Management tools, strategies, tactics, files, photos, videos and professional networking amongst over 3,500 of the most successful automotive marketing practitioners in the auto industry. Ralph has recently led the development, build-out and opening of the ADP Social Media Reputation Management SkySong Operations Center as an auto industry leading joint venture between Arizona State University (ASU) and ADP Dealer Services located at ASU’s state of the art SkySong Center for Innovation, Technology and Imagination in Scottsdale, Arizona. Ralph Paglia can be reached on his cell at 505-301-6369… by email at Ralph_Paglia@adp.com or follow him at http://twitter.com/RalphPaglia and friend him at www.Facebook.com/RPaglia. *PLEASE NOTE: File Server Access is restricted to workshop attendees and will be revoked for any dealer caught sharing their password with anyone who did not attend the Dealer Battle Plan workshop. DEARBORN, Mich., Jan. 5, 2010 – Higher sales in every product category and for every brand propelled Ford to a 33 percent sales increase in December versus a year ago. Ford cars were up 42 percent, crossovers were up 51 percent, sport utilities were up 33 percent, and trucks and vans were up 18 percent. Among brands, Ford sales were up 37 percent, Lincoln sales were up 16 percent and Mercury sales were up 6 percent. Every consumer metric about the Ford brand – including favorable opinion, consideration, shopping and intention to buy – ended the year at record levels. In fact, favorable opinion is up more than 20 percent from the beginning of the year, and intention to buy Ford increased more than 30 percent. “People increasingly are discovering that the Ford difference is the strength of our products, particularly our leadership in quality, fuel efficiency, safety, smart technologies and value,” said Czubay. Ford, Lincoln and Mercury December sales totaled 179,017, up 33 percent versus a year ago. Full-year sales totaled 1.62 million, down 15 percent. Ford estimates its full-year 2009 U.S. total market share was about 15 percent – about 1 percentage point higher than in 2008. This marks the company’s first full-year U.S. market share increase since 1995. Ford also has improved its retail market share 14 times in the last 15 months. Ford Fusion, recently named Motor Trend’s Car of the Year, posted a December sales increase of 83 percent and set new December (18,852) and full-year (180,671) sales records. Ford Fusion and Mercury Milan are the most fuel-efficient mid-size sedans in America. Ford Taurus sales totaled 7,256 for the month, up 110 percent versus a year ago. Since the introduction of the all-new model in August, Taurus sales are nearly 90 percent higher than a year ago. Ford Mustang sales were up 62 percent in December, and Ford Focus sales increased 22 percent. Mercury Milan and Lincoln MKZ were each up 5 percent. Crossover utilities also posted strong sales increases. In 2009, the Ford brand was the top-selling brand of crossovers in the U.S., led by the Ford Escape. Escape set a December sales record (19,156), up 75 percent versus a year ago. For the full year, Escape sales totaled 173,044, the second-best sales year ever. Ford Edge sales were up 59 percent, and Ford Flex sales were up 73 percent. The all-new Lincoln MKT posted its highest sales to date (858). Ford’s F-Series truck had its best sales month since March 2008. F-Series sales in December were 48,209 (up 16 percent), bringing the full-year total to 413,625. F-Series has been America’s best-selling truck for 33 years in a row and America’s best-selling vehicle, car or truck, for 28 years in a row. In 2009, F-Series increased its leadership position among full-size pickups with a 4 percentage-point gain in segment share. Transit Connect, Ford’s new versatile, fuel-efficient small commercial van, had its best sales month (1,992) since August. Ford’s new EcoBoost engine technology and hybrid vehicles are winning customers, too. December was the best sales month for EcoBoost (1,662), and total EcoBoost sales since introduction now total 4,973. The conquest rate for the Taurus SHO is 60 percent. EcoBoost provides customers up to 20 percent improvement in fuel economy and a 15 percent reduction in emissions versus larger-displacement engines. EcoBoost is standard on the Taurus SHO and available on the Ford Flex, Lincoln MKS and Lincoln MKT. December sales of hybrid vehicles totaled 2,843, up 147 percent versus a year ago. Ford hybrid models include the Ford Fusion, Ford Escape, Mercury Milan and Mercury Mariner. For the full year, Ford hybrid sales totaled 33,502, a new record and up 72 percent versus a year ago. Automotive Digital Marketing Professional Community This is an online community of automotive internet sales and marketing professonals that has over 1,600 members and is very wide open and uncensored. Automotive Reputation Management – Consumer Generated Content Based Strategies for Car Dealers Professional Network for Car Dealers using Social Media and Customer Reviews to Achieve Reputation and Marketing Communication Objectives.